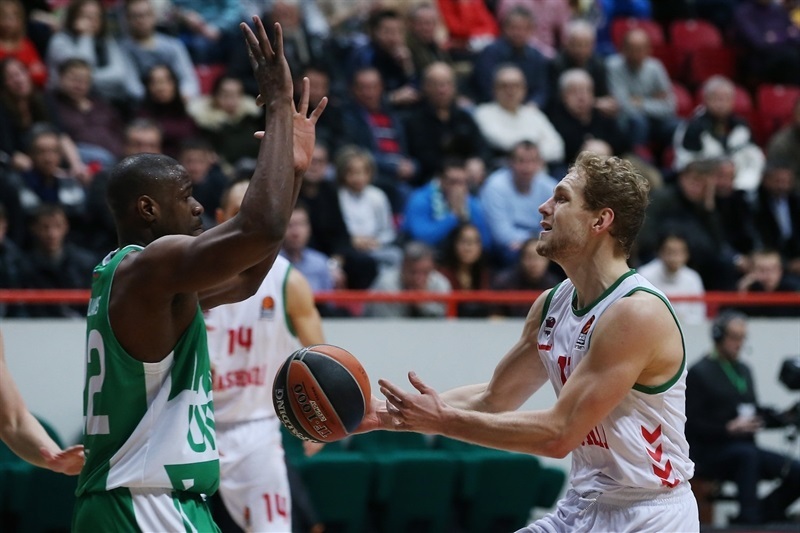 In a thriller that literally came down to the final second, Baskonia Vitoria Gasteiz edged Unics Kazan 91-92. 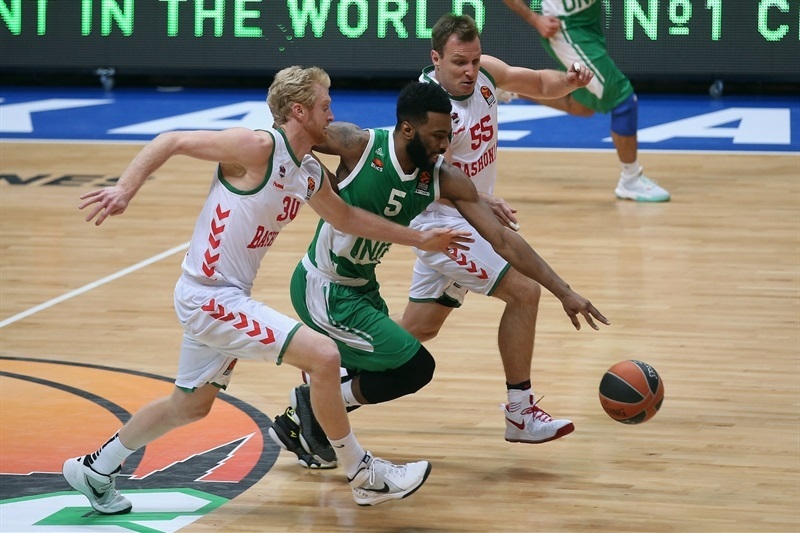 The game saw three lead changes in the final 7 seconds; Shane Larkin hit a rainbow three-pointer over Art Parakhouski to give Baskonia an 88-90 lead, Keith Langford answered for Unics from beyond the arc, but Shengelia sank the game-winning free throws with 1.8 seconds left. Larkin led the winners with 22 points and 6 assists. Shengelia added 19 on 10-of-11 free throw shooting; he had hit 15 of 27 (55.6%), entering this game. Rafa Luz added 10 points for Baskonia, which improved to 8-4. 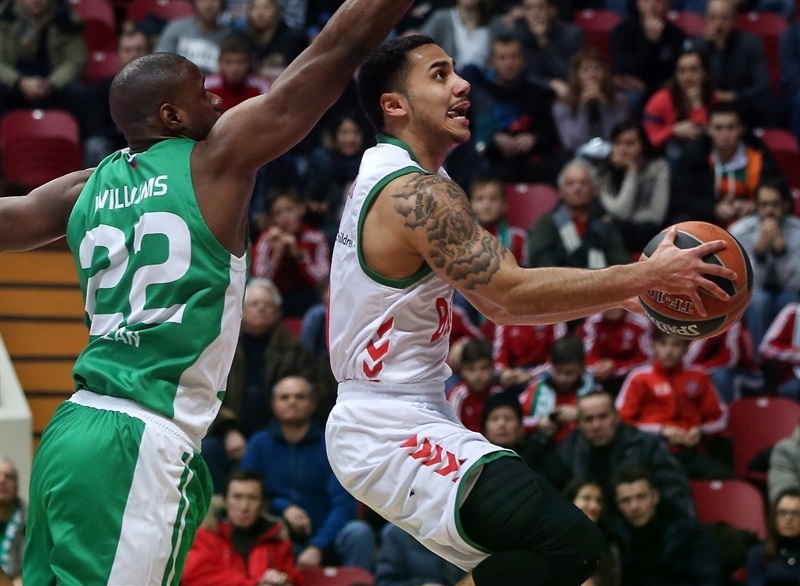 Langford led Unics with 28 points, Quino Colom added 23 points and 6 assists and Orlando Johnson scored 11 for the hosts. Baskonia used a balanced offense to get a 40-43 halftime lead - as many as seven players scored 4 points on more. Baskonia made 9 of 18 three-point shots (50%), committed just 11 turnovers and pulled down 11 offensive rebounds, but most importantly kept its cool in crunch time to rally from a 6-point deficit to steal its third road win of the season. Back-to-back layups by Kim Tillie and Johannes Voigtmann gave Baskonia an early 2-4 lead. Unics found a go-to guy in Colom, who buried consecutive jumpers and struck from downtown to tie it at 11-11. A layup by Langford and a triple by Evgeny Voronov soon gave the hosts a 16-11 lead. Ilimane Diop and Shengelia stepped up for Baskonia to keep the visitors within 20-18. Larkin fed Diop for an alley-oop and added a reverse layup for a 20-22 Baskonia lead after 10 minutes. 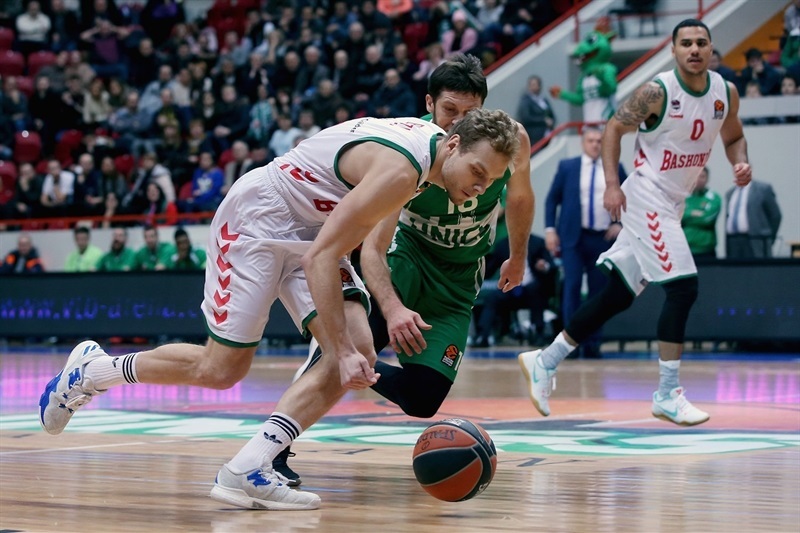 Unics struggled to score early in the second quarter and a three-pointer by Chase Budinger made it a double-digit game, 20-30, concluding a 0-14 run. Langford hit a jumper, but a layup by Larkin and another triple by Budinger boosted Baskonia's lead to 22-35. 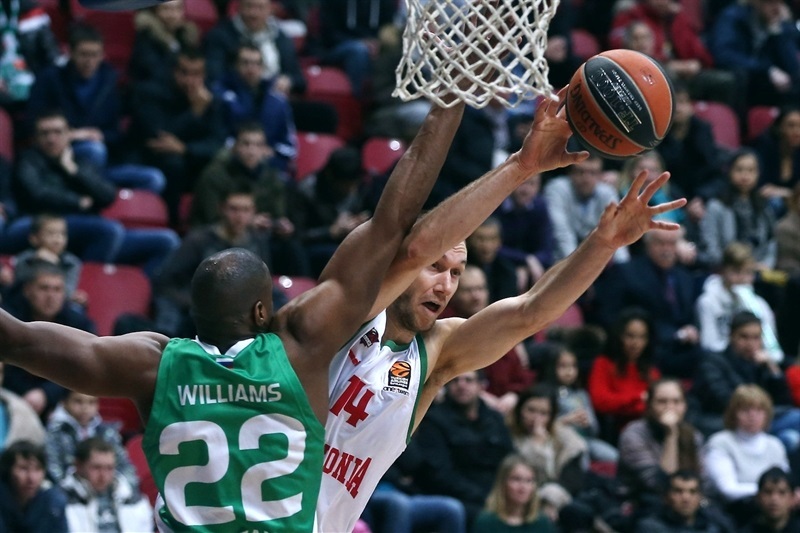 Voronov and Paul Stoll rescued Unics with back-to-back triples and an alley-oop dunk by Latavious Williams helped Unics get within 2. A free throw by Adam Hanga fixed the halftime score at 40-43. Johnson buried back-to-back three-pointers after the break and a turnaround jumper by Parakhouski put Unics back in charge, 48-47. Hanga dunked off a steal and Larkin stepped up with free throws, a jumper and a triple to make it 55-56. 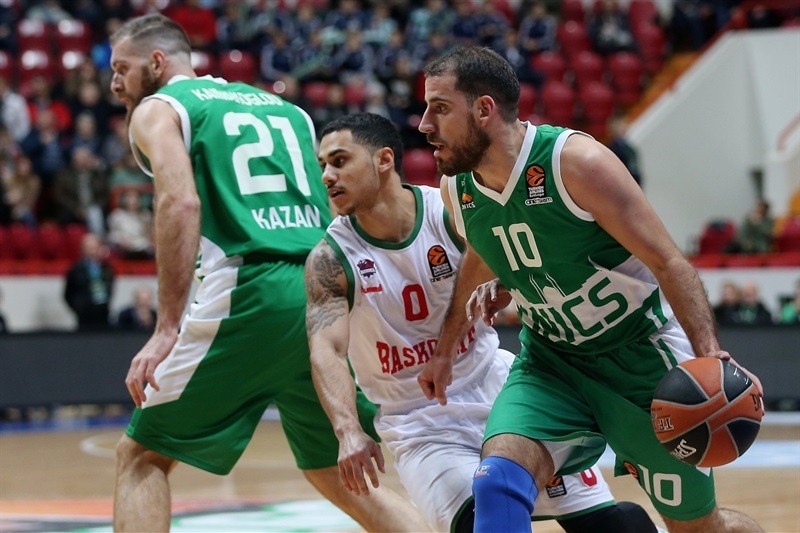 Shengelia and Luz joined the three-point shootout, but Williams and an outstanding Langford helped Unics tie the game at 67-67 after 30 minutes. Langford struck from downtown and Colom added back-to-back triples to give Unics a 78-75 edge with less than six minutes left. 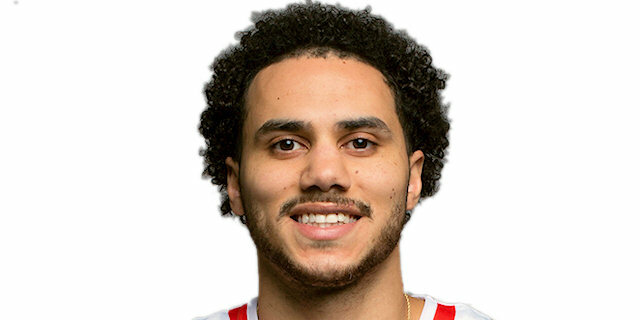 A red-hot Colom followed a driving layup with a big triple off the dribble for an 83-77 advantage. Larkin took over with a three-point play and Shengelia hit 6 free throws to knot the game at 86-86 tie. A rainbow triple by Larkin put Baskonia ahead, 88-90, with 6.8 seconds left. 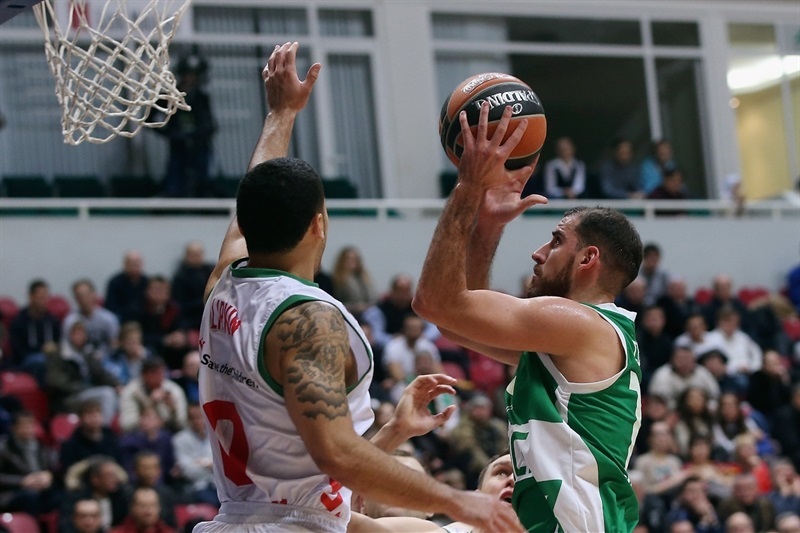 Unics called timeout and Langford immediately answered from downtown, but Shengelia drew a foul with 1.8 seconds and hit both attempts for a 91-92 score. Langford missed an off-balance shot at the buzzer. "I think we played with character today. 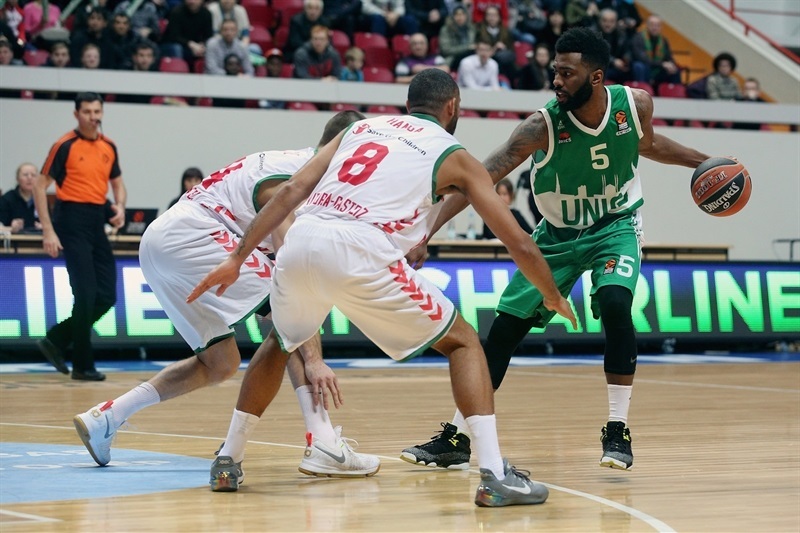 We fought hard and this is the Unics team we want to see, a team that can beat anybody. We bounced back and had a good reaction after our loss against Olympiacos, where we played without any character or heart. We played with much more character and stayed together. This is what I wanted to see tonight, us playing as a team. All EuroLeague games are really strong, but we believed in ourselves. I don't want to talk about the referees; whatever happened, happened, but we have to be stronger and keep fighting. It is not time to cry; we showed character, played a good game and did well offensively and defensively. We made a couple of mistakes in the end and that cost us a game that went down to the last shot. All the guys who went on the court fought and played with heart." 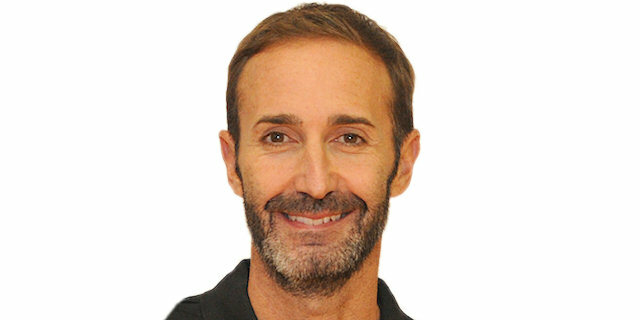 "We played very well in the first minutes of the game because we didn't have fouls, took advantage of it and pressured really well full court, stopping their easy transition through Quino Colom, who had less time to organize his team's offense. After two fouls by our perimeter players, we had to start defending closer to our basket, so they played better, finding better options on offense, especially for Langford and Quino Colom. In the last part of the game, Langford found a good shot, so we have to improve this kind of situation, because he found a really good option. We are talking about a great scorer and have to improve in last-second situations. For us, it is very important to keep the intensity throughout the game. When you win a game by 1 point, normally you deserve to win. If you don't deserve to win, you don't win. We have 10 players who put great pressure on defense in the first part of the game, in which we were winning by 13 points. 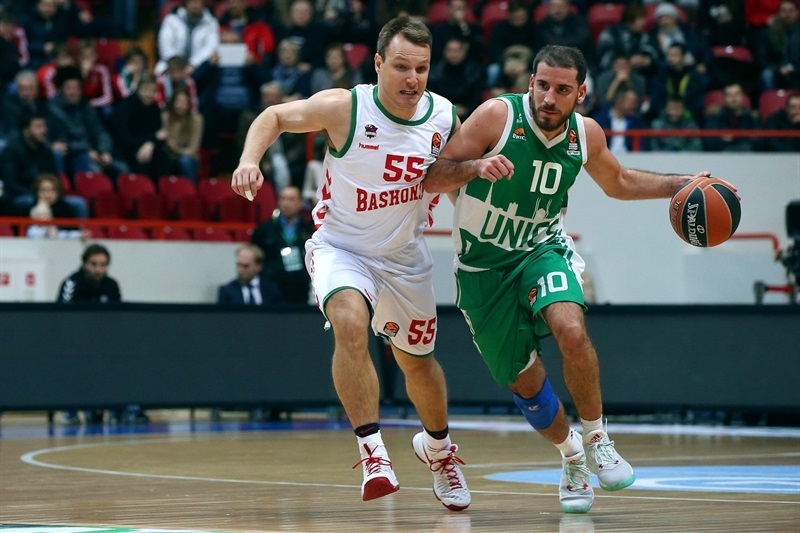 Unics made a great effort to get back to the game. I felt bad when Langford made his last shot because we made mistakes. Sometimes you have to admit your mistakes and read the situations depending on the game." "You can never expect game-winning shots like that, but we just stayed together, really tried to lock in on the defensive end, and Toko Shengelia made some big free throws at the end. Our last couple of games we've been locking in on the defensive end, but this team has great offensive players. Langford obviously scores the ball amazing, and Colom shot the ball amazing tonight. But we just stuck together as a team. Sometimes people are going to make shots against us. But we stuck together, and got the win. That's the big thing. I felt alright. My team and my doctors helped me get a lot of medicine and get healthy enough to play the game. I'm happy I was able to go out there and help my team win."